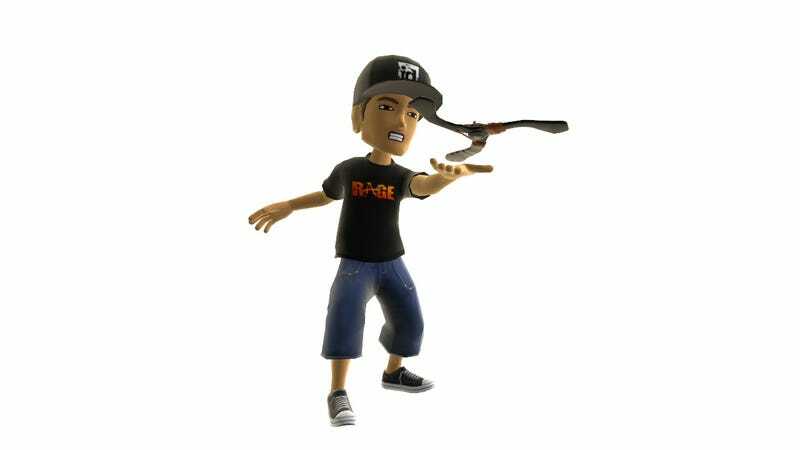 These Rage avatars are now available for download on the Xbox Live Marketplace. So that's $1 for the id cap, $1 for the Rage shirt. And $3 for the Wingstick. But how many Microsoft points will it be for some Doom news, id? If any breaks during QuakeCon 2011, we'll let you know post-haste.